Those of us who weren\’t born yesterday and haven\’t been hanging out with Rip Van Winkle in Sleepy Hollow, know we are in a time unlike any before. In addition to the many challenges we face — climate change, energy, education, healthcare, immigration, wealth inequality, gender and minority inequality to name a few — we are also in a demographic revolution that will, over the next several decades, result in 50% of our population here in the U.S and Canada and in every industrialized country in the world being over 50 for the first time in history. Increasing longevity, decreasing birth rates and shrinking tax base are just a few of the startling and relatively immediate implications this demographic revolution will have for those of us who are older GenXers, Boomers and Elders here in North America and billions more around the world. Of course, having failed to do a stellar job addressing other critical challenges, it is not surprising that many in our governments, institutions, businesses and many of us in the general public are behind the curve on this issue as well. We are, in fact, uninformed on and unprepared for the consequences and opportunities that lie ahead. To be fair part of the problem lies in the fact that as a species we\’ve never before been in this situation. We have no blueprint or script that describes what billions of us are supposed to do with this additional time we are inheriting. Surely there must be some purpose in the grand design — other than some outmoded belief in retirement – something of genuine consequence that capitalizes on our wisdom and experience and requires the presence of such an inordinately large number of elders on the planet at this time. Whatever that reason, one thing is clear. Those of us who are 50 and older have come to the end of the territory described in Acts One (Youth) and Two (Maturity) of the Human Drama and must now address the question of how to write a new Third Age (Aging). This question prompted me to reach out to several colleagues who are among the leading women authors and experts of our time and who are also members of AgeNation\’ World Council of Wisdom Keepers. I invited them to share some thoughts and recommendations that can help us all to begin to write this new Third Act, and in the process, better navigate the future. “Well, here\’s the thing. The world has bottomed out. The statistics are dreary. Some of our best scientists are feeling we don\’t have time to save ourselves. However, there\’s the alternate point of view. Unusual things happen all the time. The Berlin Wall fell. Smoking has diminished significantly in a relatively short period of time our country. We\’ve made major gains in gender equality and, in some areas of human rights. We\’re more aware of the need to protect our habitat and to lead lives that are healthier and more conscious. Still it\’s clear we are at a crisis points, but it\’s also a turning point. And if I can take a page from my own book: It\’s Not The End of The World, although some may think we\’re at the end, when people of good hearts get together and support one another, what can happen is a rite of passage. And what happens in a rite of passage is that in the space between where the world breaks down and reforms itself, between no longer and not yet, a whole new way can emerge. In this space we can get out of the rut of the habitual and make room for miracles to happen. “As with many cultural beliefs, there is a marked difference between the identity of an elder in my own Chippewa tradition and that of the elder of the western world. From earliest childhood, the Chippewa learn that the elders are those we are most grateful to and deserving of the deepest respect. All around us are the elders who enchant our imagination; the stars that shine in the black velvet sky, the towering trees, rocking in the wind, the oceans who carry the songs of the many who walk on, and the grandmothers and grandfathers who are first to be served and honored in the tribe. The elder is the one who gathers the gifts of a lifetime and takes care of us even as we take care of him or her. Once a person crosses 50, he or she no longer lives in and for the present moment and its gratification, but lives for the next generation. To be an elder is a great accomplishment with the significant role of preparing a good world for the children of tomorrow. Passing on wisdom and insights then is part of the responsibility of the elder, but certainly not all of it. It also includes knowing that one is a sacred being living in a sacred, precious world. Quite different from the Western concept of “retiring,” this awareness invites the experience of the elder to be respected and put into action for as long as possible. 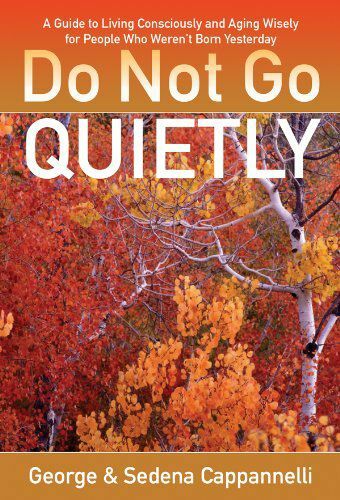 “In our new book, Do Not Go Quietly, George and I speak to the issue of living consciously and aging wisely because we believe both are essential keys to learning how to better navigate these challenging times and to better prepare for the remarkable new world that lies ahead. Yes, even with all that is going on in our topsy-turvy world today, in fact because of it, this is a time for tremendous optimism because our challenges give us a clear sign that the old and the no-longer-valuable are breaking down to make way for the new. Here are a few of the things I believe each of us can do to live lives of greater stability as this falling away occurs. Remember to be true to our dreams, the dreams each of us has come here to manifest. Continue to be open to learning from our stumbles and celebrating our breakthroughs. Commit to a deeper level of healing in all areas of our lives– physical, emotional, mental and spiritual. Step more fully into our daily lives with genuine compassion for ourselves and others. Look beyond physical accomplishments, possessions or wealth as the measure of our success, and instead to the quality of our character, our experience and discernment and turn them into the gold of wisdom. “We are now going through a phase of evolutionary metamorphosis on planet Earth. Our past life is not sustainable. The planetary timing is moving toward the next phase of evolution, devolution or even extinction. Millions of us are attempting to evolve ourselves and our culture toward a still amorphous undefined society. And none of us has seen this form of society. We might call it a Co-creative Society in which each person is free to be and do his or her best within the evolving whole. “We are living in the most unique time in human history. Other times in history thought they were unique. They were wrong. This is it. Often our everyday, local experience is not sufficient for the enormity of the challenges that are laid upon in this most remarkable of times. Many people have lost their belief in our economic system, our health care system or our educational system. The old ways of doing things are no longer working. We are now seeking the emergence of the deeper story. We are seeking our mythic lives. Do you feel the passion within, urging you to live the greater story of your life? Myth is always about the making of the soul. It is the journey of the heroic soul as you travel from an outmoded existence to an amplified life. In times of breakdown and breakthrough – which we\’re in right now – myths arise telling us of the new heroes, new heroines, and of the noble journey we must take in search of the Possible Human both within ourselves and in others. It\’s George and Sedena again: What wonderfully sound advice and some common themes these wise woman present! The reminder that crisis always provides opportunity and the prompt that if we are wise we will remember that the only thing that has ever created substantive change is the exercise of the Power of One. How? When we do our part to heal wounds from the past, complete some of the unfinished efforts that dog our footsteps, forgive those who may have injured us and ourselves for our actions, and live in true gratitude for all that we have–both the gifts and the challenges. 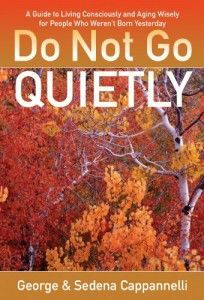 We are also advised to turn down the outside noise and turn instead to that place of silence within us from which real wisdom flows. So at home, at school, at work, in our churches, clubs and community organizations, we have the opportunity to raise the level of the game and navigate the future with greater levels of consciousness and love. 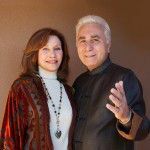 George and Sedena Cappannelli are the authors of the award-winning and bestselling book Do Not Go Quietly, and co- founders of AgeNation and The World Council of Wisdom Keepers. 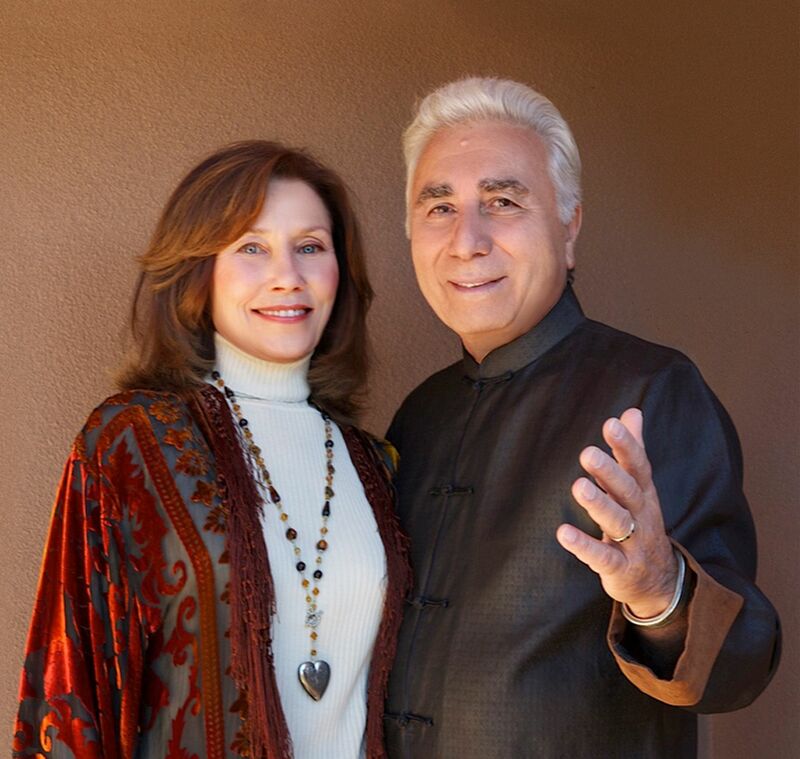 While Sedena will be one of the presenters, George is leading AgeNation\’s six transformational Navigating Your Future Weekend Journeys at The Awaken Whole Life Center at Unity Village. from May through November, which will feature 16 of the world\’s leading wisdom keepers addressing the needs, concerns and opportunities for “people who weren\’t born yesterday,” as well as for younger people who want to chart a terrific and vital course for the future.